February was the 10 year anniversary for my career change. I made the shift from being a Project Manager to a career in a field called Learning and Development, which is Corporate Training. I love my job. The nature of the work is to train others, but more often than not, I am learning more from my students. Being and staying naturally curious has kept me interested in the world. 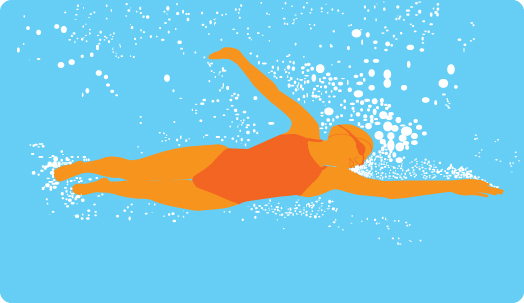 Last fall I wondered what it would be like to learn how to swim, so I took the plunge. I learned so much about myself. First of all, swimming is all about breath. I learned that I gulp in the air during cycle class, but that doesn’t work when you are in the water. I also learned that the contrast of cold air and warm water leaves me cold all day. My swim lessons ended in December. I am thinking of starting them again next month. Last month, February, I added a new class into my workout schedule, Body Pump. Twice a week this weight lifting early morning wake up class gives my muscles a boost. I have noticed a couple of interesting rewards: the loss of a couple of pounds and cycle class is easier. Gotta love that! Letting my curiosity navigate me to my next learning activity is a fun process.